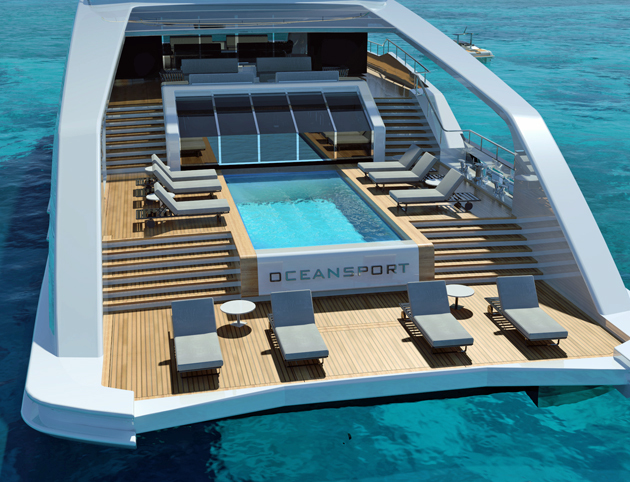 CRN has launched the Oceansport series, designed by Omega Architects and available in 52, 61 and 75-metre forms. 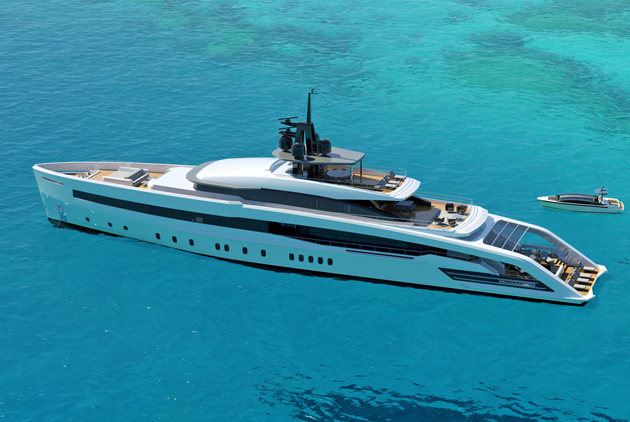 The concepts will be showcased at the forthcoming Monaco Yacht Show. All three yachts share a number of similar characteristics, including the eye-catching architectural arch sweeping aft, which emphasises the sleekness of the series. It’s more than just a visually impressive feature, however, as it allows for a split-level beach club with sauna, gym, infinity pool and swim platform, which extends right aft. Open bulwarks will really create a sense of connection with one’s environment, while the main-deck streak of black glass is another impressive visual cue. All yachts will be built in steel and aluminium. Each model in the Oceansport range has been developed across four decks, offering five VIP suites and an owner’s suite, accommodating 12 guests. 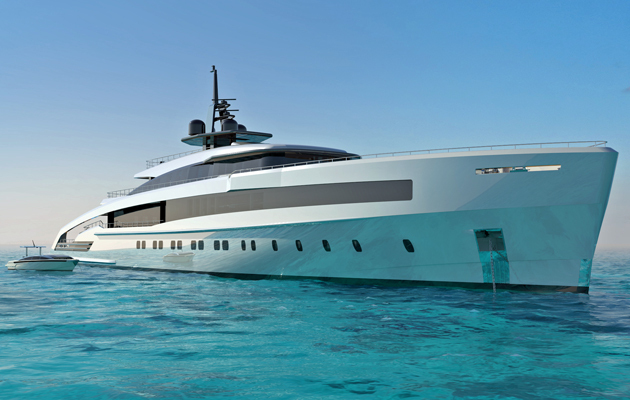 The 75-metre has been concieved with two different layouts below and the possibility of a second owner’s stateroom on the upper deck. “Our initiatives are ambitious, and we are keen to take on new challenges and go beyond classical boundaries. With these new projects CRN shows once again its eclecticism and flexibility,” says Lamberto Tacoli, CRN’s chairman and CEO.